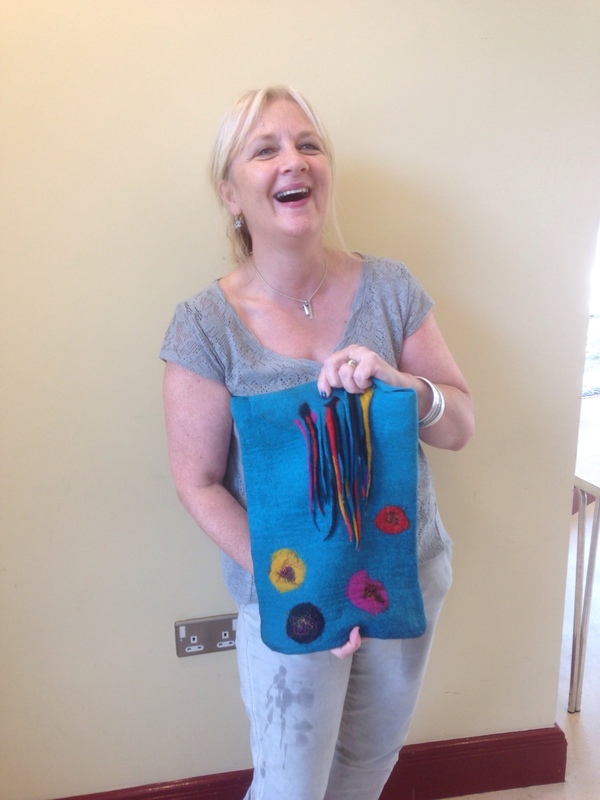 Some pictures of beautiful felt bags from the north but few words today! 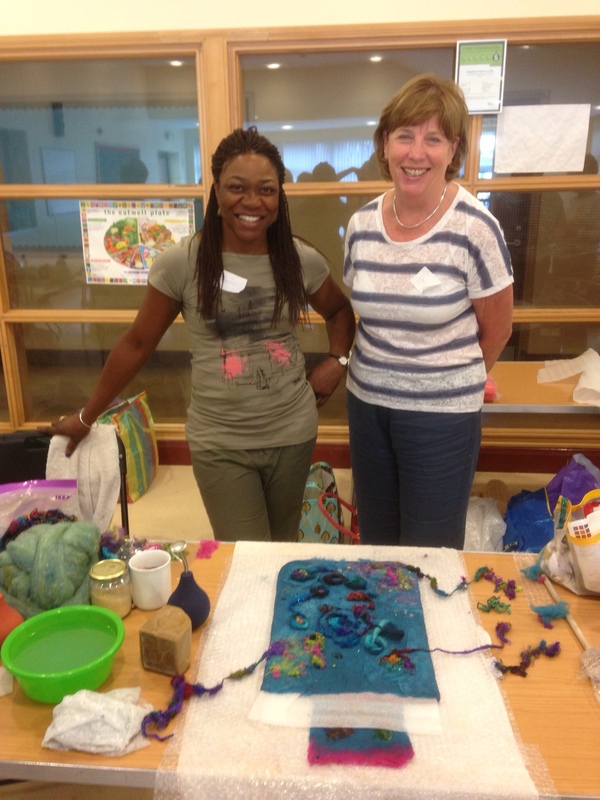 I had a fabulous time in Northern Ireland at the end of last week, staying with good friend Liz and facilitating a complex felt bag workshop in Hillsborough with a wonderful group of ladies! Here are a couple of pictures that I took, I'm hoping that the participants will email me pictures of their finished bags because I just didn't have any more time myself to keep snapping!!! Interestingly, the iPad cover that was such a hit in the states was also a popular choice with the group. 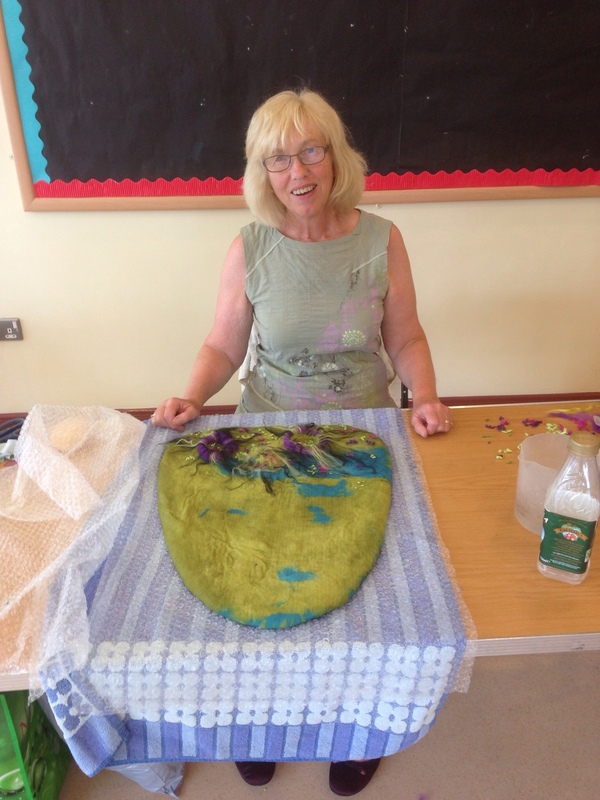 Thanks so much to all the Northern Feltmakers for making me feel so welcome, Fiona and Ann for the organisation, Liz for being such a great helper and Dorothy for organising my lunches, I really enjoyed our evening out too and the meal was delicious! This entry was posted in Felt, felt bag, felt workshops and tagged feling workshops, felt bag, felt bag workshop, felting class by Nicola. Bookmark the permalink. Thanks for coming along and teaching us all lots! My kids and husband all approved of the bag I created – which is quite an achievement. Hope you come back and teach us more soon! Great to discover another blogger too. It was lovely to meet you and have you in the class Janine, I’m glad your family approve of your gorgeous bag!!! And as you say, nice to meet another blogger too! Wish you had been there too, there’s always next time though! 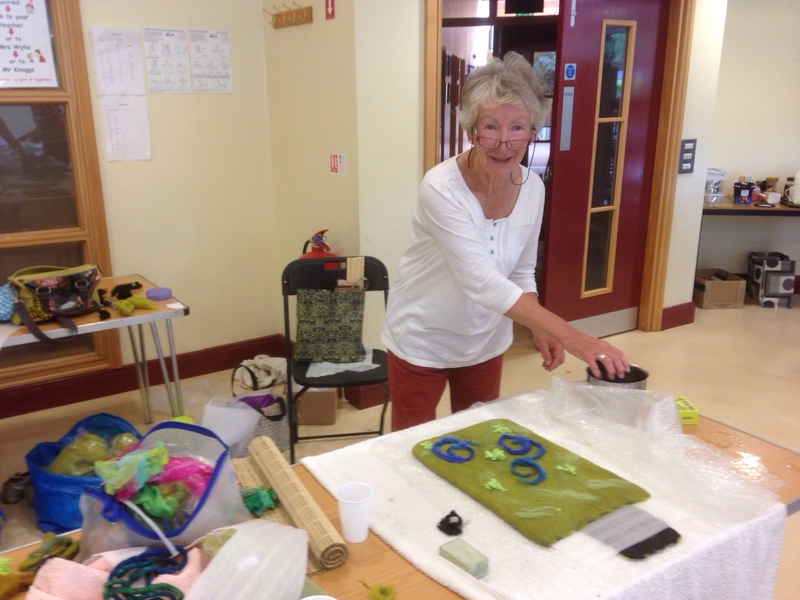 It was lovely to meet you Dorothy and see your beautiful bag take shape! See you here soon, I look forward to some fun time over a hot stove!! !